Laugh it up with the Tickle Bar Stool by Zuo Modern. This delightful combination of cool chrome and fresh green will bring a bright contemporary glamour to your entertaining. The Tickle Bar Stool is crafted of extra strong ABS plastic and chrome steel. 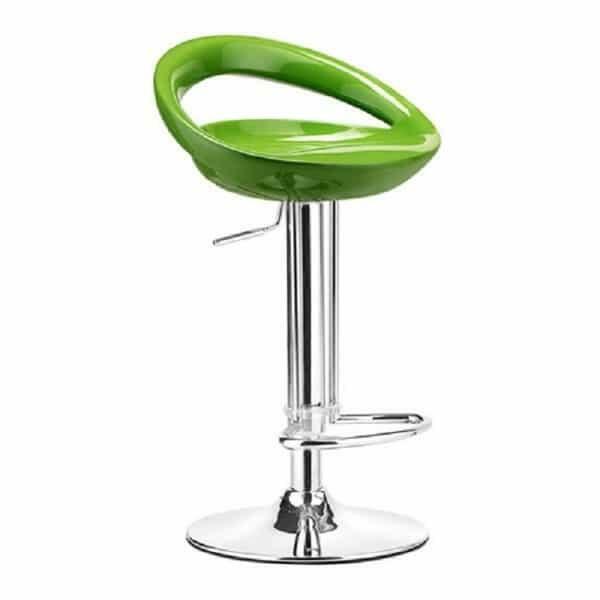 This glossy stool is ergonomically designed for your comfort. The chrome base is adjustable, and can be used for either a counter or bar height application. Seat Height 24" - 30.7"